Ohr Chadash Religious School, located in Queens, New York, is an example of a new model of supplementary Jewish education. 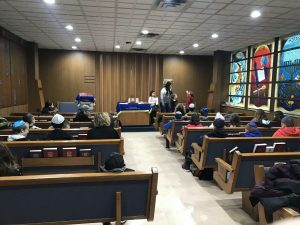 Comprised of a consortium of three Conservative synagogues in eastern Queens, Ohr Chadash combines classroom learning with experiential programming including ongoing opportunities throughout the year for parent, grandparent and guardian education as well as outstanding Shabbat experiences for young people. As a reminder, we will be participating in the community-wide Yom Hashoah Commemoration which will be will be held at Flushing-Fresh Meadows JC this year. 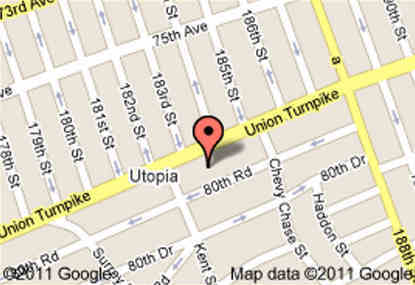 The address is 193-10 Peck Avenue, just off the westbound service road of the Long Island Expressway. The program is on Wednesday night, May 1st and begins at 7 PM. We will be providing a pizza dinner for those children who attend this event. It is absolutely necessary to let Morah Shari know whether your children will be attending by this Sunday. 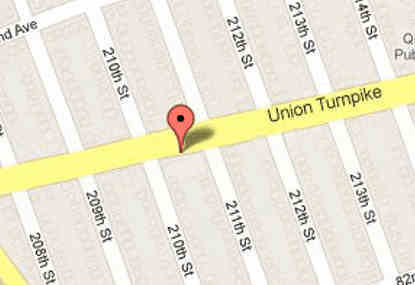 Please reach out to Morah Shari at stuymom@nyc.rr.com to make reservations. We are strongly encouraging all children from the age of 8 and up to attend. 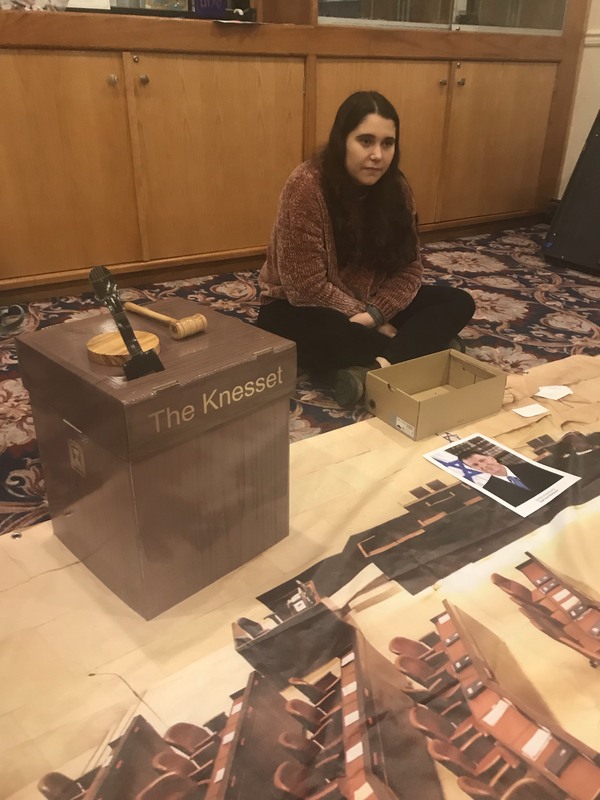 March 31, 2019: Below are a couple of pictures of a beautiful lesson done by our Shinshin, Morah Rotem. 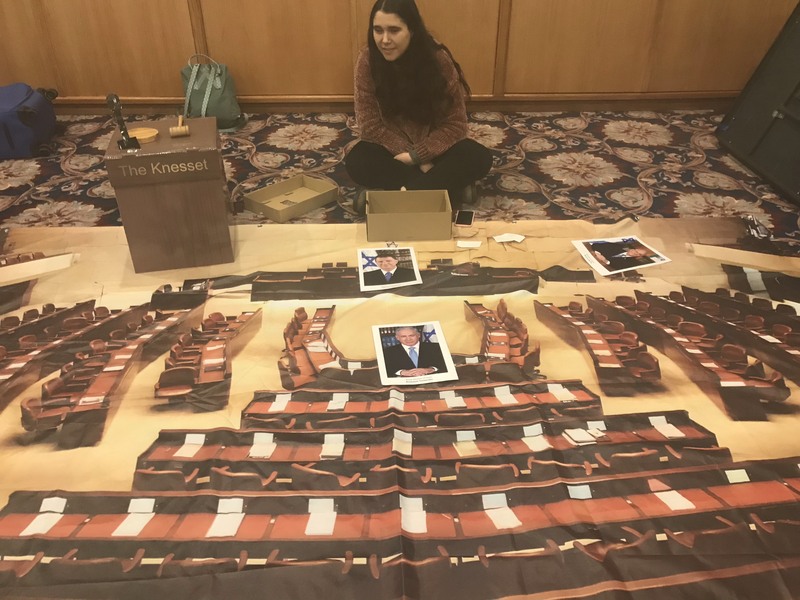 As the elections in Israel will be taking place shortly, Morah Rotem taught the students about how the Knesset operates and the process for how to vote for a Prime Minister in Israel. We thank Morah Rotem for bringing these hands-on and creative activities to our students at Ohr Chadash. March 29, 2019: The students at Ohr Chadash had a a blast being involved in numerous activities in honor of the Purim holiday. The students joyfully sang with our very own Morah Chava playing her guitar and teaching the students all sorts of fun Purim songs! The children enjoyed baking chocolates and yummy Hamentashen led by Morah Shari and her brother, Paul. The children also had a blast making a beautiful arts and crafts project. The students made Groggers and painted them all sorts of beautiful colors and designs. All of our students were ready to make lots of noise when they heard the name of Haman during the Megillah reading at synagogue. The children also participated at the annual Purim carnival, this year held at Hollis Hills Bayside Jewish Center. There were plenty of fun games and activities and even a bouncy house! Additionally, the families from Ohr Chadash had an amazing experience at our Kabbalat Shabbat Family Dinner & Celebration at Hillcrest Jewish Center. The children enjoyed the lively service with upbeat, Carlbach tunes. In the midst of the Lecha Dodi song, Rabbi Kogan and others in attendance at the service created a circle and began dancing with all of the children in the synagogue! The children were so happy at this most meaningful service. Afterwards, we had a delicious Shabbat meal with an array of platters of Chinese food. Rabbi Kogan sang numerous fun Shabbat songs with the children throughout this meal and fun was had by as it was self evident by the smiles on all of their faces. Ohr Chadash takes pride in teaching our students about their Jewish heritage in a fun and interactive way. This Sunday, we we begin preparing for the holiday of Passover and the upcoming model Seder which will take place on Sunday, April 14th. Parents are welcome to attend the model Seder on April 14th. Details to follow. Additionally, on April 7th we will be making Seder plates to be ready to be used and displayed at our respective Seders. We will also have a special Matzo baking presentation on that day where children will learn first hand how to make Matzo. We look forward to these exciting programs and anticipate that the children will learn a lot about the holiday in a fun and interactive way. 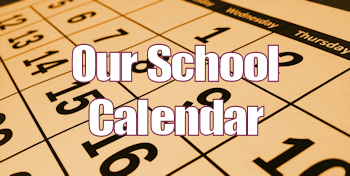 February 3, 2019: The past couple of weeks were filled with fun activities and learning at Ohr Chadash. The older students are in the middle of an important unit about the Holocaust. Morah Judy and Morah Shari taught from the book, The Promise of a New Spring and showed excepts from a documentary about the Holocaust. We thank our teachers for teaching these valuable lessons about our history to our students. Attached are pictures of the artistic work of our students. They each made a creative model of a building. Morah Rotem, who continuously teaches the students the beauty of Israel, shared with the children the plans of what will be the largest building in all of Israel and its unusual design. In order to further strengthen your child’s Hebrew reading skills, we will be a distributing a reading logs to your child this Sunday. We ask the children do at least 5 minutes of Hebrew reading each day and for the paper to be signed. After your child completes the page and submits it to me, they will receive a special prize! This Sunday, we look forward to Rabbi Wise who will be our guest rabbi this week. Additionally, we will be having Jennifer Gold, H2I Youth Director who will come and address the students toward the end of Hebrew school. 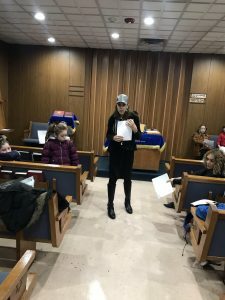 January 20, 2019: The children continued in theme of Tu Bishvat, with a beautiful Tu Bishvat Seder. The children participated in an interactive Seder which included lots of singing, reading sections from the Torah and of course lots of delicious food! Many of the students participated by reading the various reading sections to their classmates. The Tu Bishvat Seder included four cups of grape juice, each jiuce with different colors to represent the change of the seasons. Additionally, the students ate an from an array of scrumptious fruits. Each platter represented different kinds of fruits, namely some with a hard outside shell and some with a soft outer peel. Each of these fruits represented different personalities of people as we discussed the similarities between fruit trees and people. We would like to thank Morah Shari and her brother Paul for all of their preparations and involvement in making the Seder such a success. We also thank Morah Chava who assisted in leading the Seder together with the other teachers. Lastly, the Seder would not have been possible without the generosity of our parent body. We greatly appreciate the thoughtful donations from the parents and making this such a memorable Seder. Please remember to have your children bring Tzadakah each Sunday. The students will decide which organization we will give the Tzadakah to towards the end of the year. 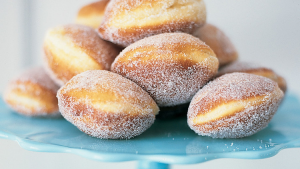 Students are encouraged to bring their own kosher, healthy snack each Sunday which takes place at 11:00 am. We appreciate your continued support and look forward to seeing you all next Sunday. 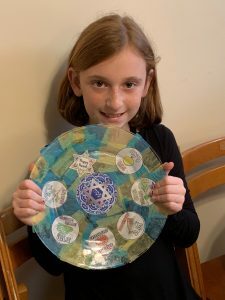 January 13, 2019: The children had a special arts and crafts project in honor of the upcoming holidays of Tu Bishvat and MLK day. Morah Judy discussed with the students the significance of each of these days and the importance of thinking about improving the world and creating our own legacy. As part of the arts and crafts project, the children cut out pictures and words which best represent their own legacies. We also had Rabbi Kogan come to speak with the students about the connection between trees and people. He even demonstrated to the children the visual of being a “human tree”. We thank all of the teachers and especially Morah Judy for making this program such a success. Continuing in the theme of Tu Bishvat, we are looking forward to our annual Tu Bishvat Seder this Sunday. As a reminder, we are asking for a suggested donation of $5 to help cover the cost needed to purchase the necessary items. For those who are able to give this suggested donation, please bring it to Hebrew school this Sunday. The Tu Bishvat Seder, which will take place from 11:00-12:30, will consist of grape juice and a variety of fruits. In the event of a cancellation due to the potential upcoming snow storm, you will be notified by Saturday night. If school is canceled due to inclement weather, we will postpone the Tu Bishvat Seder to the following Sunday. 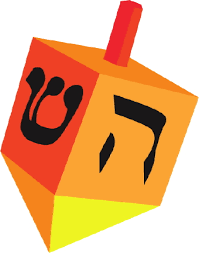 January 11, 2019: We are excited to be back into the full swing of things as we continue Hebrew school at Israel Center for Conservative Judaism (ICCJ) for the duration of the school year. We were given a warm welcome as we began our new Hebrew school sessions at ICCJ. We began in the small sanctuary on the main floor. We had a Havdalah service, learned some Hebrew words from Morah Rotem and some tradition Tu Bishvat songs from Morah Chava Blander. We are so excited to have Morah Chava return to Ohr Chadash and inspire our students with her uplifting songs and words of Torah. holiday with a special arts and crafts project for all of our Ohr Chadash students. We will be involved in an engaging, hands-on activity in the Shmorg room. We are honored to have Rabbi Kogan join us during this time to assist in educating the students about the holiday of Tu Bishvat. This special project will take place starting from 11:00 am until the end of Hebrew school this Sunday. We are also looking forward to the following week where we will have a special Tu Bishvat Seder. Details to follow. Looking forward to what most certainly will be a fun and educational day of learning this Sunday. Sunday, 12/2/18, was filled with much joy and excitement at Ohr Chadash. Each of t he students made beautiful, colorful Menorahs just in time for the for the first night of Chanukah. Some of the students had the opportunity to make hand painted dreidels as well. Morah Shari and her brother Paul were busy making delicious Chanukah treats with the students including scrumptious chocolates and potato latkes. 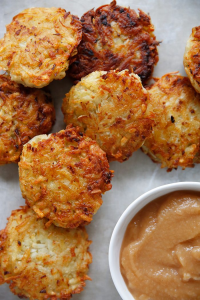 Some of our older students displayed their cooking skills as they fried tons of delicious latkes for all to enjoy. The children were so happy to share their hard work with their parents as they came and celebrated together at the end of Hebrew school. 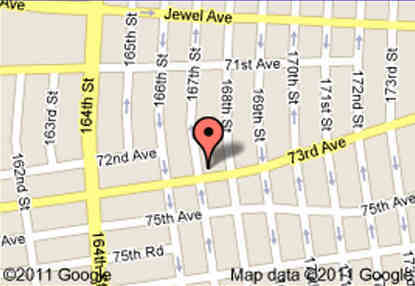 Learn about all of our recent events here. CLICK HERE to go to our ONLINE FEE PAYMENT page. You can donate online and do not require a PayPal account. Just click on the DONATE button and and support us now!